Angle grinders are the power tools which are commonly used in applications that involve cutting, grinding and polishing. To meet the needs of technicians, Moglix has come up with a new range of angle grinders. The products that are available in the angle grinder range have been sourced from leading brands like Bosch, Dewalt, Makita, Cumi, Eastman, GB Tools, Himaz, Maktec, Metabo, Milwaukee, Black and Decker etc. The product price has been devised to fit into the budget of buyers. The products that Moglix has on offer as a part of this category have been selected after good scrutiny to meet the needs of buyers. We also deal in electrical hand grinders. To acquire details on angle grinders online, select from the best angle grinders models offered by Moglix. Bosch angle grinders are known for their versatility. To meet up the expectations of buyers, Moglix has come up with a vast range of angle grinders. The Bosch products that are available as a part of this category have been selected keeping in mind the needs of technicians. The angle grinder price has been decided keeping in touch with the spending power of buyers. 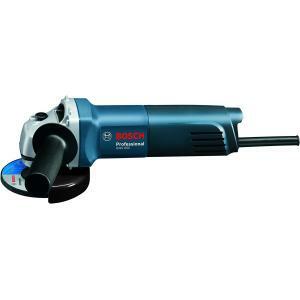 To acquire details on Bosch angle grinder price list, visit the latest collection available at Moglix.com. Makita angle grinders are highly valued by users because of their ability to remove corrosion. They come with smooth edges and have a good polish. The products which are available as a part of this range have been priced within a wide price range to suit the budget of technicians as well as DIY enthusiasts. The Makita angle grinders which Moglix offers online have high durability and have been subjected to quality tests to meet the existing quality standards. Acquire the best offers and know about the latest deals on Makita angle grinders offered by Moglix. Dewalt angle grinders are suitable for use on concrete surfaces and metalworking. To meet the changing needs of industrial workers, Moglix presents the latest range of Dewalt angle grinders that are available in the market. The tools which are available as a part of Dewalt range are highly suitable for use in construction related projects as well as factory settings. The prices of these products have been kept within a reasonable range to suit the needs of buyers. To acquire the best deals on Dewalt angle grinders, visit Moglix. Black and Decker angle grinders are highly useful for smooth cutting and grinding operations due to their strong motors. To ensure a high level of perfection in industrial applications, Moglix has come up with angle grinders which have an ergonomic design and have a perfect grip. The Black and Decker grinders’ collection that Moglix has on offer includes models ideal for use in metal grinding, stone polishing, granite and metal sheet cuttings. These angle grinders are equipped with a dust sealed switch. The Small grinders are highly suitable for use in DIY projects because of its compact size and high portability. The products which we are offering as a part of this range are ideal for usage over long hours. These small angle grinders have a long lifespan and are equipped with dust protected ball bearings. The all ball bearing construction of these machines makes them ideal for usage over a long span of time. The electrical grinders that we are offering as a part of this range come with a metallic gear housing which ensures high robustness. They are equipped with reinforced winding & double insulation which offers a high level of protection against metal fillings and dual abrasions. The presence of a super protective guard offers a high level of safety against burst wheel. Cordless angle grinders are widely used in workshops and industrial applications because of their portable nature. To satisfy the ever-rising needs of technicians, Moglix presents a wide range of cordless angle grinders sourced from some of the leading brands in the market such as Hitachi, Bosch, Dewalt, Makita etc. These devices are easy to grip and therefore can be used over long hours. The rubberized soft grip of the device ensures optimal hand comfort. The angle grinders are the most vital power tools for grinding, polishing & cutting purpose.  The products offered by Moglix in this category are 100% genuine; you can also avail easy return policy of Moglix if the products not found satisfactory.